The last time was in 1944 after their damaged B-17 Bomber landed safely in Italy during World War II. On Monday, they will be reunited, sharing Grand Marshal status at the Park Hills Memorial Day Parade. Klette is now 100-years old and was born in Park Hills in 1917. He enlisted in the U.S. Army Corps Reserves the day after the Japanese attack on Pearl Harbor in 1941. He flew 51 B-17 combat missions from the U.S. air base in Foggia, Italy, and was awarded the Silver Star for a mission to destroy factories in the suburbs of Vienna, Austria. In 1944, only his damaged plane returned to Foggia; the rest of his squadron was lost. In 1951, Klette was recalled to active duty during the Korean War in which he flew 50 air/sea rescue missions, piloting the SA-16 and C-47 before returning home in 1952. 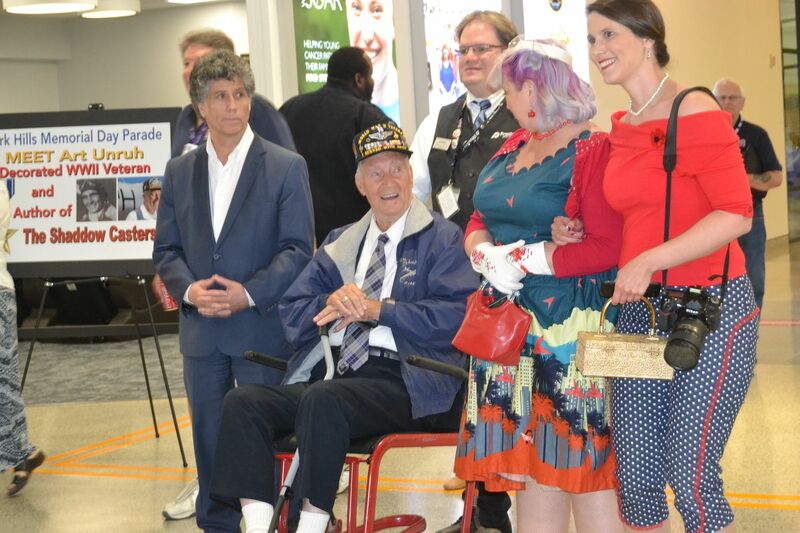 Unruh, 95, who traveled to Kentucky from Washington for the Memorial Day Parade, is the only other surviving crew member from Foggia. The pair were reunited thanks to an effort by Klette's neighbor, Philip Ryan, a child of a World War II veteran who spent hours soaking up Klette's memories, just as he had listened to his own father's. Ryan reached out to Unruh who quickly agreed to be part of Monday's event. The last Klette and Unruh were together, they nearly died. It was July 26, 1944, and 428 B-17 bombers were set to take off, loaded with bombs, to fly over Wiener Nuedorf, Austria. Klette, a co-pilot on his 30th mission, met his crew that day, and one of them was Unruh, a waist gunner, who was on his 50th mission. The sky was overcast that day and the planes departed as planned, surrounded by protective cover of the famed Tuskegee Airmen. But, as the sky turned, commanders on the ground were uneasy with the conditions, and sent a message for the planes to return. 26 of those planes did not receive the message. The depleted crew were soon surrounded by German aircraft, firing at them. 11 planes were quickly shot down, Klette remembered. The rudder on the plane holding Klette and Unruh was badly damaged, along with the elevators and the oxygen. "The rudder had a big hole in it, and the pilot said, John, get on that rudder, I am having trouble holding it," Klette said. "The plane was hit over 200 times with bullets, and some of them went through the gas tanks, but we had liners in them and sometimes bullets would go through them without blowing them up. We were lucky they didn't explode." Klette believes that the Germans must have known about the U.S. mission. The plane lacked heat as the temperature in the sky plummeted to at least 32-below, Klette recalled. 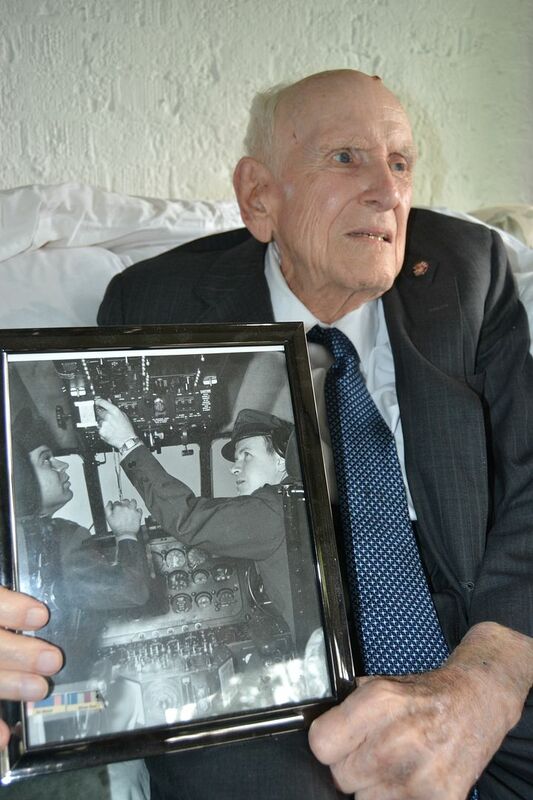 The lack of oxygen knocked out the man positioned as ball turret gunner, but he was saved as the left waist gunner opened a trap door to retrieve the last remaining bottle of oxygen. The ball turret gunner resumed the fight. Unruh saw an enemy plane - an ME 440 - bearing down on them, so he took aim and shot it down. Klette said that the Germans were so close to their plane that he could see their faces. He and his crew managed to escape. "Let's get the hell out of here," Klette remembered shouting at the pilot. "Head for the Adriatic!," the pilot shouted back. But the plane was able to return back to its base in Foggia. "It was a good landing," Klette recalled. "We had ambulances and fire trucks on our tail." "On the ground back at home base, I stood on good old terra firma," Unruh wrote in his book, The Shadow Casters. "Hardly believing what had happened to us, I kissed the ground, and kissed that bullet-ridden old B-17 airplane that brought us home." Everyone on that plane had survived, although the tail gunner was seriously injured. All aboard the plane received the Silver Star for Gallantry in Action. Unruh was allowed to return to the U.S. after completing his 50th mission. Klette was back in the air four days later. A mission in Romania was the scariest, he said, noting again how close a German pilot's face was to his own. But he survived again, and completed 50 missions of his own. Now at age 100, Klette said that he wants to draw attention to those who did not return home - which is what Memorial Day is all about. Klette is now the oldest practicing lawyer in Kentucky. His wife has passed away, and would have been 100 on Monday. His daughter, Ruth, and two twin grandchildren keep him company. 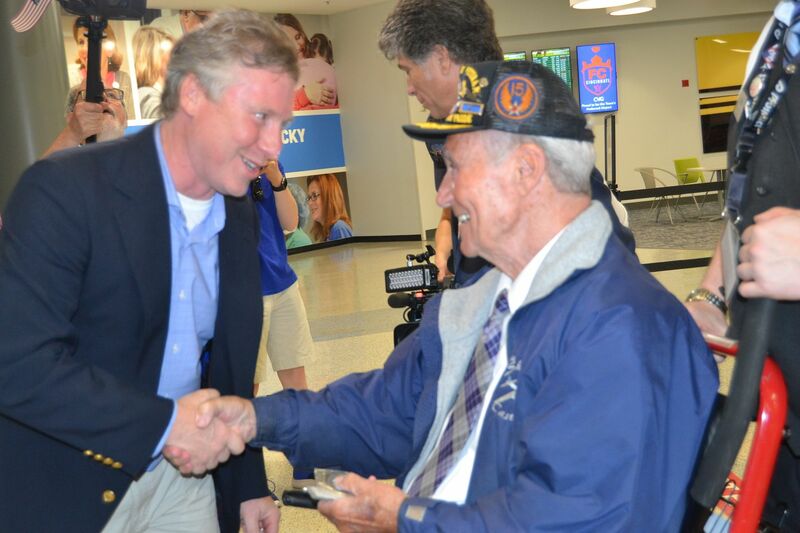 Unruh was welcomed to Kentucky at CVG Airport. At home in Seattle, he still works, too, giving tours at the Warbird Museum and talking to school children. He was grateful for the airport reception that greeted him. "I feel so blessed," Unruh said. "I am proud to be an American." The May 28 Park Hills Memorial Day parade will be held at 11:30 a.m. The parade route is from Dixie Highway to North Arlington to Old State Road to Terrace Drive to Amsterdam Road to Park Drive. A flag raising ceremony with the David Haldeman’s Stationary Marching Band at Park Drive will be held immediately following the parade.